The BoneStealer stalks the lush fern forests of Oregon. 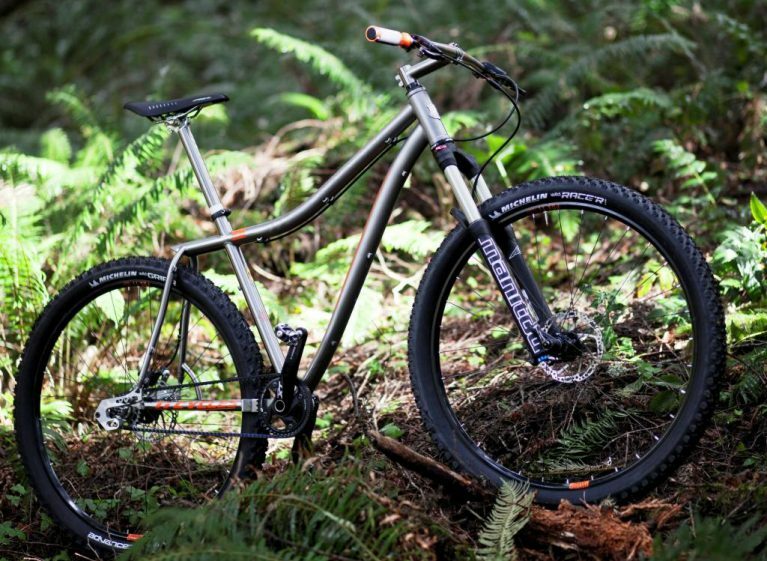 This stealthy titanium predator is the official race bike of the PDX Ti team. 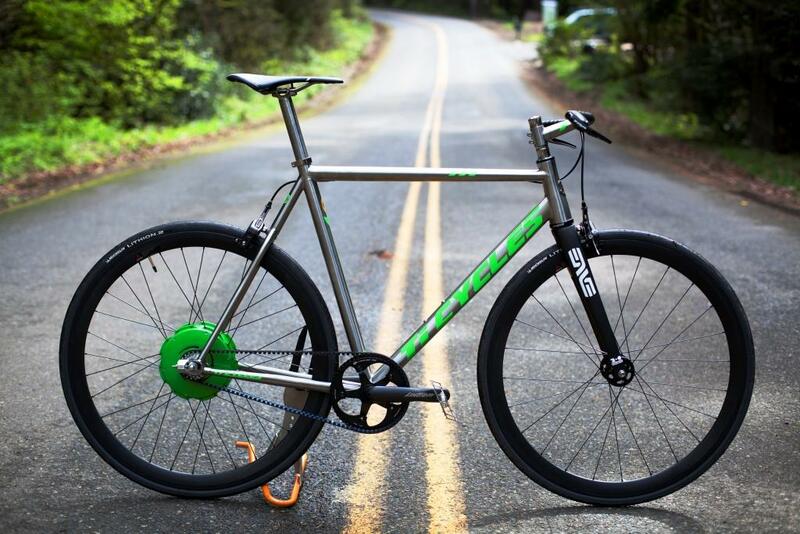 It’s anothermasterpiece from the magicians at Portland’s Ti Cycles. The BoneStealer’s curvaceous frame features Ti Cycles’ signature pierced top tube and monostay design. 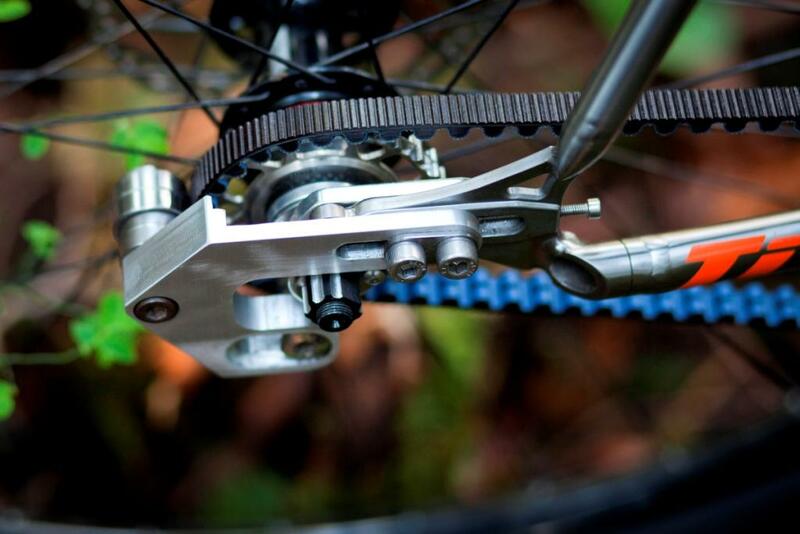 Fully customizable, it has a 120 mm fork (with 100 mm and 140 mm options), belt-drive dropouts, and multiple wheel size options: 29, 26 or 27.5 inch, plus 69er (26 rear, 29 front) or 675 (26 rear, 27.5 front). 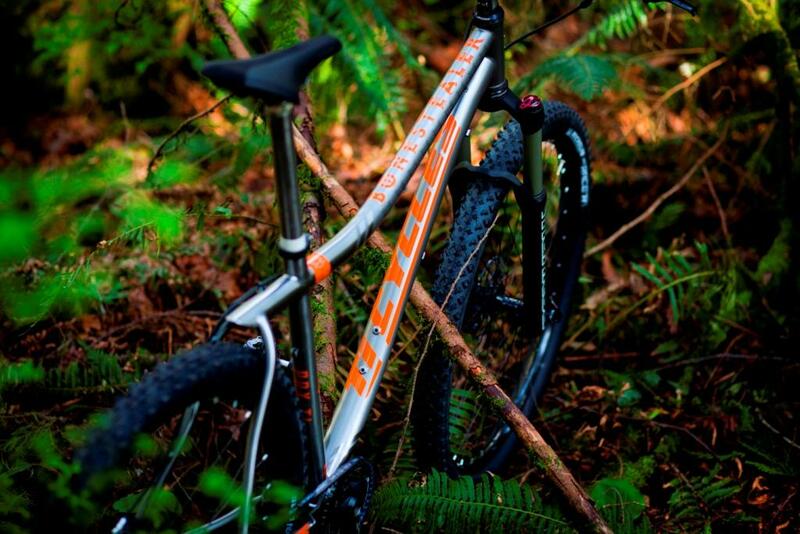 Ti Cycles is renowned for its innovative bikes across all styles. 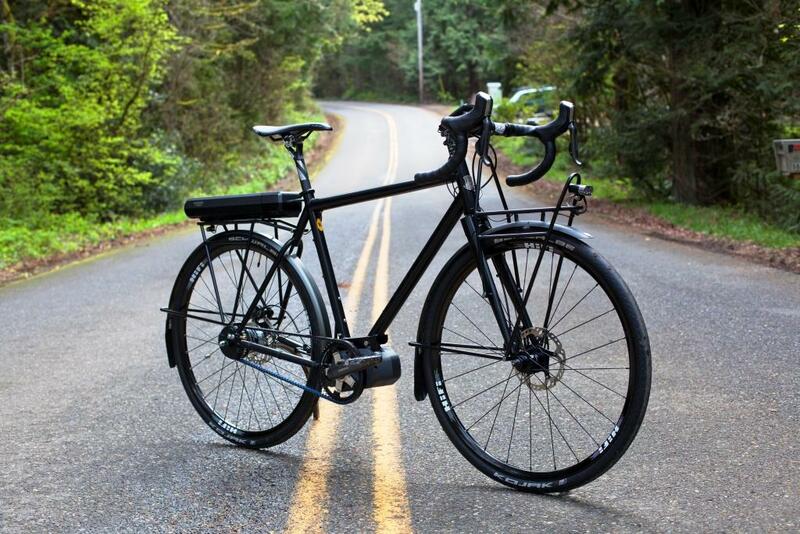 Its SOLID city bike was a runner-up in the prestigious Oregon Manifest competition and was featured in Wired Magazine and many other media outlets. 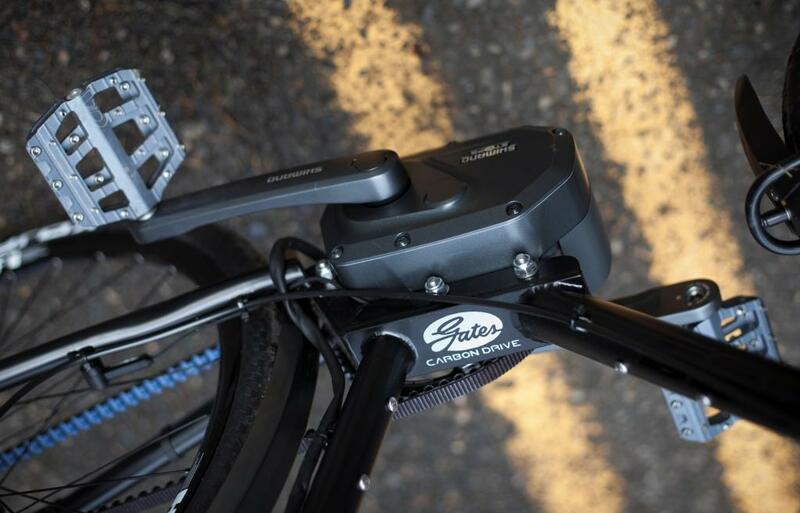 Founder Dave Levy is passionate about transportation bikes and has recently created two new electric bikes that will appear at upcoming bike trade shows. 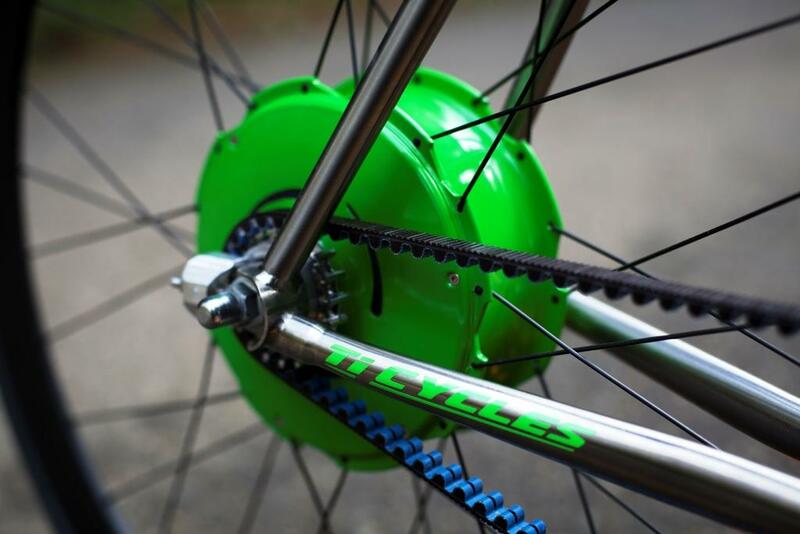 TheFIX-E is a fast and fun electric bike powered by the intriguing Zehus hub motor. 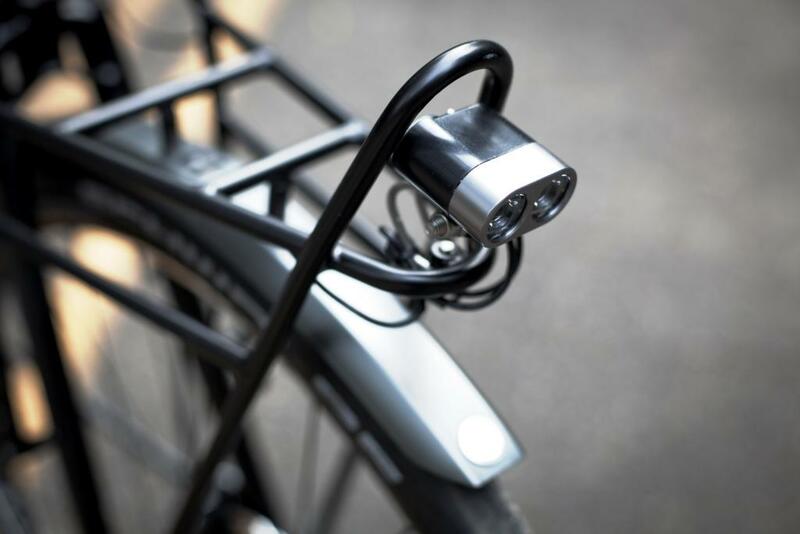 The Zehus has no external wires, recharges its internal battery with regenerative braking and is operated from a handlebar mounted smartphone app with wireless Bluetooth connectivity. 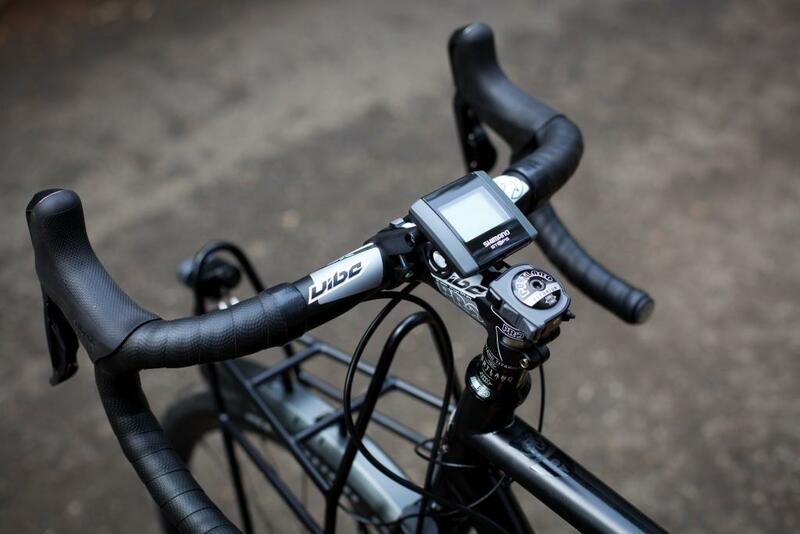 The FIX-E’s titanium frame, bar and stem have internal cable routing for a sleek aesthetic. 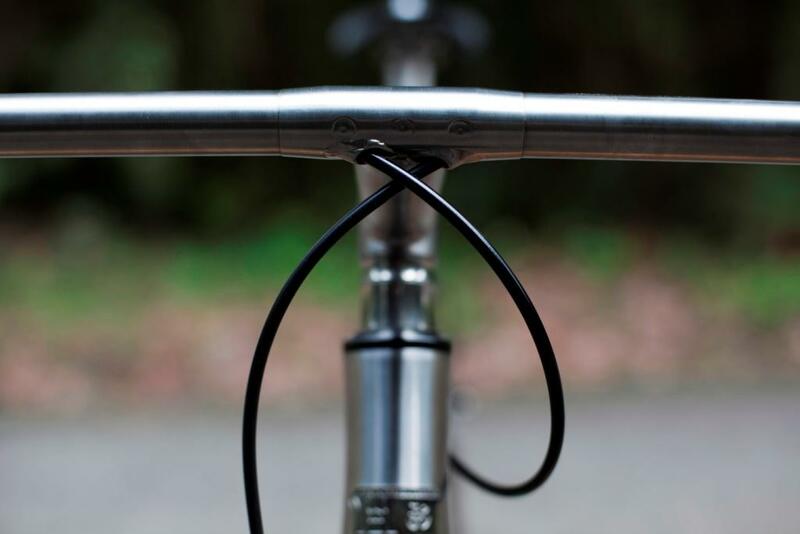 Look for the FIX-E at the Bespoked UK Handmade Bicycle Show (April 17-19 in Bristol, England).